A man exposed himself to a girl while he was in a parked van. A man in a parked van on a Northampton road exposed himself to a girl this week. A police appeal for information has been launched after the incident on Monday (November 19) at around 4.45pm on Wooldale Road, Wootton. A girl who was walking passed a parked van and saw a man inside the van, with the side door open, inappropriately touching himself. The white van then drove off towards Quinton Road. The offender was described as a white man, aged 30 and around 5ft 10in. He had a medium build and brown hair, brushed into a spikey style in the middle. 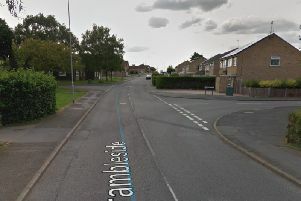 He had short brown stubble and was wearing a dark blue t-shirt with long sleeves, black trousers and black trainers.